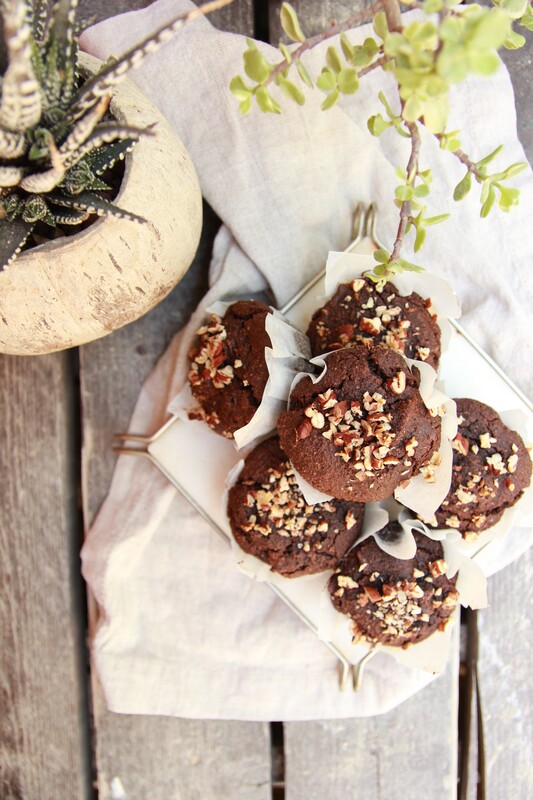 Vegan Chocolate Muffins – Paleo Friendly! 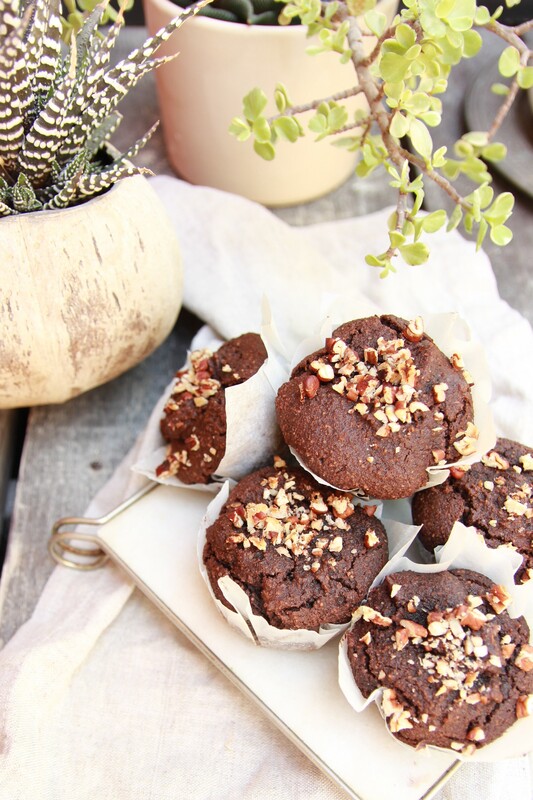 These decadent vegan chocolate muffins are moist, oil free, gluten free, refined sugar free, paleo friendly, hassle free, mess free, and take less than 5 minutes to prepare. What?! That’s right! After countless attempts, and almost giving up, the fighter in me just wouldn’t let me. So, I’m sure you can all imagine my excitement when these vegan chocolate muffins finally came out of the oven, and not only were they edible, they tasted damn good! In fact, not only did I gobble them all up, I even did my little dance! But back to these nutty muffins. All you need are a few basic ingredients, measuring cups and spoons, and before you know it you’re mixing all that chocolate goodness together and waiting impatiently next to the oven for them to bake. While experimenting with these muffins I learned a few things. If you start licking the batter before you pop them into the oven you’ll end up with at least one muffin less. If you take them out before they’re ready, they’ll be gooey and slightly fall apart, but will still taste amazing. And finally, if you divide the batter into small mugs and microwave them for 40 – 50 seconds, you’ve got yourself a chocolate mug cake! Preheat the oven to 338 degrees F (170 C). Place the ground flax seed and water into a bowl and mix until combined. Next, add the almond butter, mix, then add the maple syrup and coconut milk and whisk well. In a separate bowl combine the coconut flour, cocoa powder, and baking soda then add them in with the wet ingredients and mix until all that goodness is combined. Finely chop the pecans (reserve a bit for the top of each muffin), then add them along with the vinegar and whisk. Evenly scoop the batter into a muffin tray lined with 6 muffin liners and decorate each muffin top with the reserved pecans. 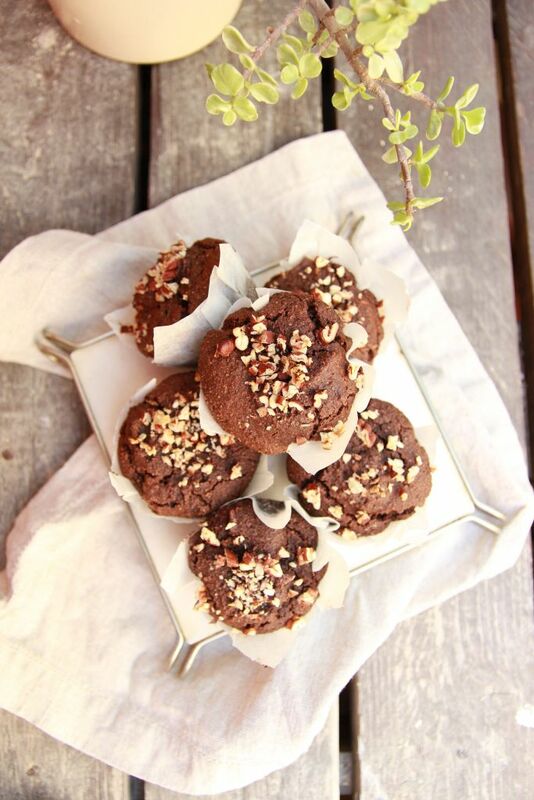 Pop your vegan chocolate muffins into the oven for 15 – 20 minutes, until a toothpick comes out almost clean. 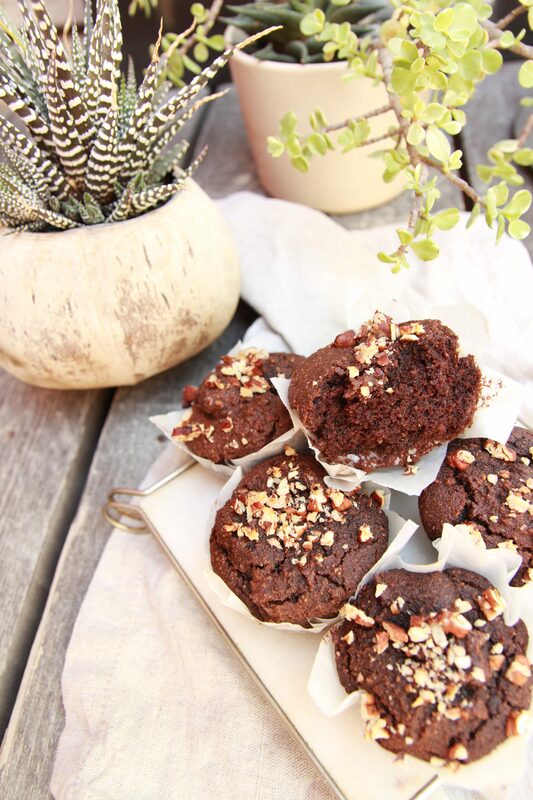 Take them out to completely cool, and your vegan chocolate muffins are ready to devour! 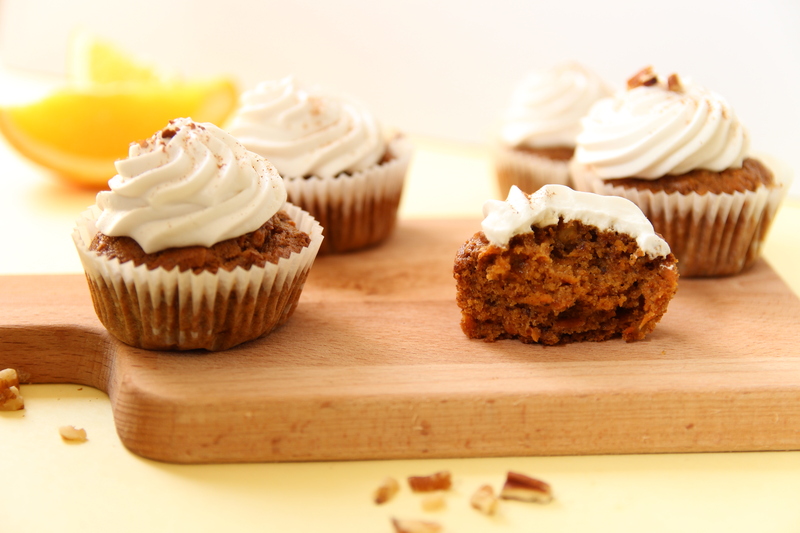 Next time try my Carrot Cake Muffins! They’re moist, vegan, taste exceptional, and require minimal prep time. ← Crustless Mushroom Quiche In Under 30 Minutes! Thank you Anna. 🙂 Yes absolutely. I’d love to know how it turned out.